Increasing networking in factory and plant automation requires the immediate availability of all relevant operating information. Here, intelligent networking of development, production and logistics is a central challenge. 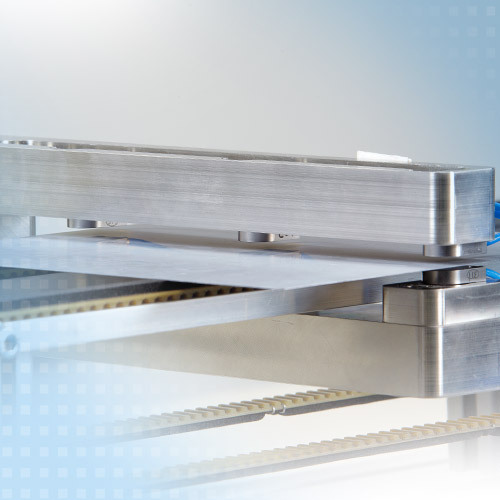 Smart sensors from Micro-Epsilon ensure the optimal integration and networking of machines and processes due to their versatile industry interfaces and evaluation algorithms. Thanks to their high precision, the sensors often replace switches in order to react to events more quickly and accurately. 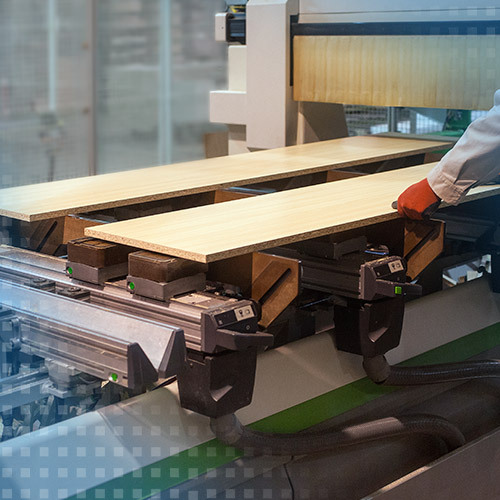 In fully automated sawmills, the position of wooden boards before sawing must be determined so that they can be cut precisely. Micro-Epsilon laser displacement sensors detect the position of the boards from two sides and output the board position to the controller. 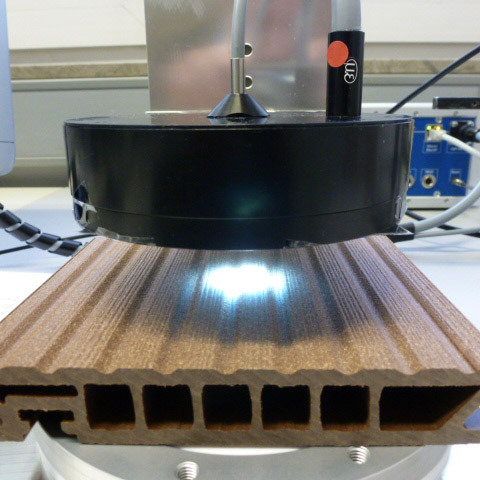 When printing woods with decors, optoCONTROL micrometers are used to control the positions of the plate. This prevents the printing head from colliding with the plate. 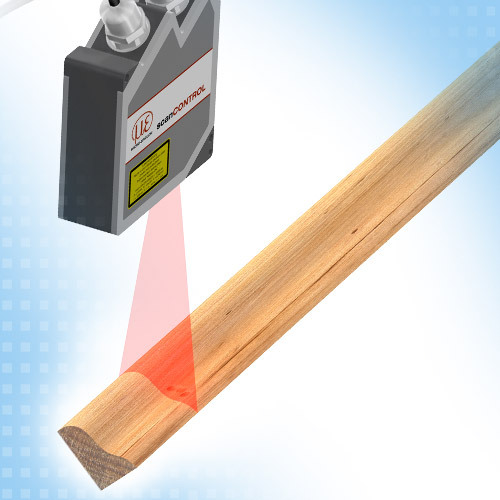 These laser micrometers measure directly on wood and monitor the tools. Laser scanners from Micro-Epsilon are used to inspect wood reliefs. They check the groove depth and provide reliable measurement results regardless of the type of wood. 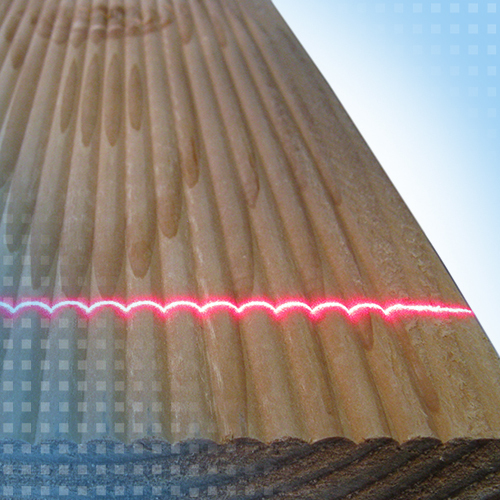 Laser scanners from Micro-Epsilon are used for the profile measurement of parquet boards and baseboards. They inspect geometric characteristics such as groove height, gap dimensions and absolute dimensions to ensure homogeneous product quality. In order to ensure consistent colour of different front panels, colour sensors from Micro-Epsilon are used. The sensors inspect the colour of the kitchen fronts in the painting plant. 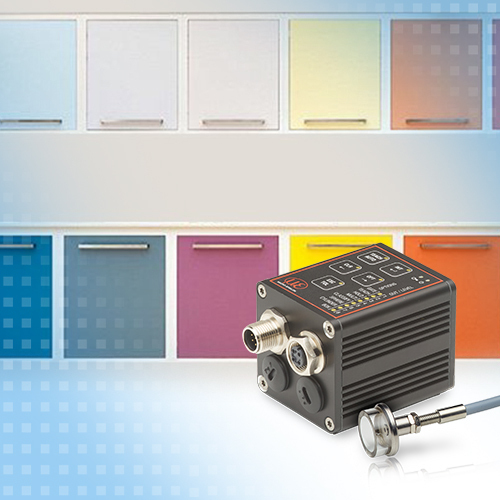 Colour sensors ensure that the colour shade is within the specified tolerances. Even the smallest colour deviations imperceptible to the human eye can be detected reliably. 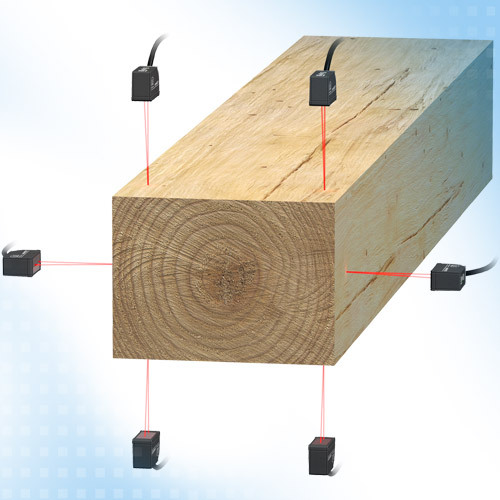 For thickness and width measurement of plates, planks and beams, two optoNCDT laser sensors are used. If this arrangement is complemented by further sensors, one synchronised measurement process can combine the inspection of torsion with control of dimensions. 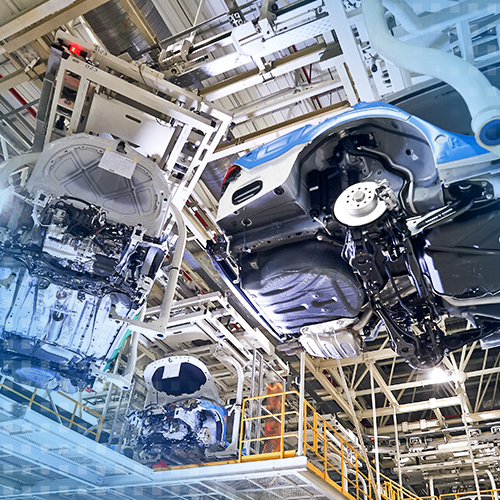 Before a car emerges from a bodyshell, it passes through numerous stations within the production, in which fully automatic processing steps are carried out. In order to enables the processing robots to recognise the exact position of the car body, several laser triangulation sensors measure the car body and transmit the position data to the robot controller. 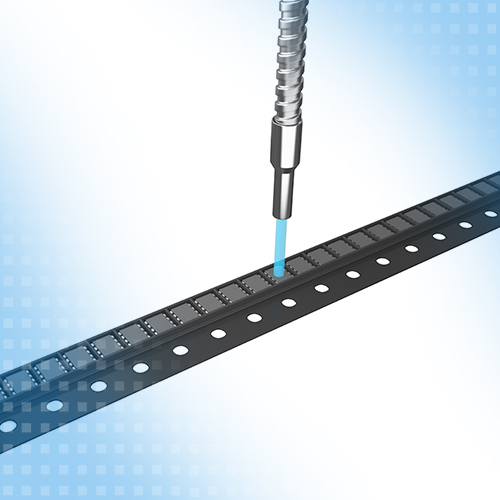 To ensure a homogeneous adhesive surface, capacitive displacement sensors measure the thickness of the adhesive on adhesive tapes and medical plasters. 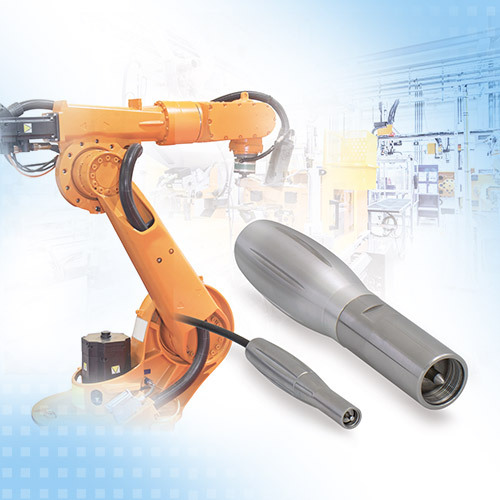 Capacitive sensors allow one-sided thickness measurement. Depending on the system structure, conductive or non-conductive adhesives can be measured. Before installing front aprons, Micro-Epsilon colour sensors check if the colour of the attachment matches the body colour. Different colour groups can be defined to cover all coatings. Capacitive displacement sensors are used for the exact thickness measurement of wafers. 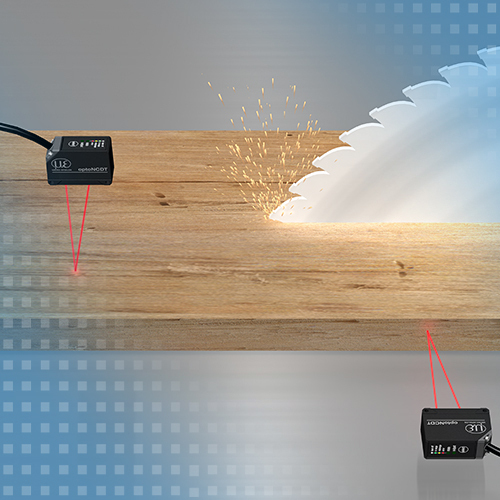 Two opposing sensors detect the thickness and also determine other parameters such as deflection or sawing marks. The position of the wafer in the measuring gap may vary. 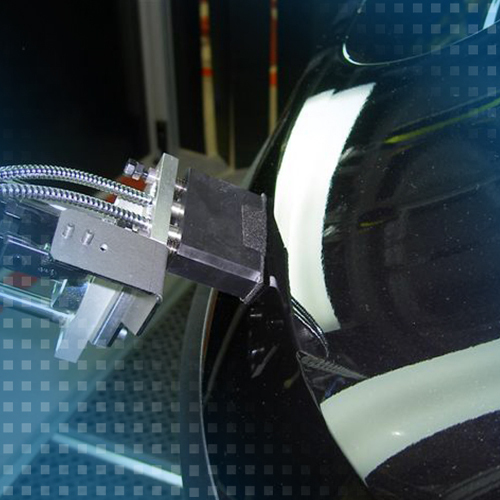 In assembly processes, incoming components are inspected using Micro-Epsilon fibre optic sensors. 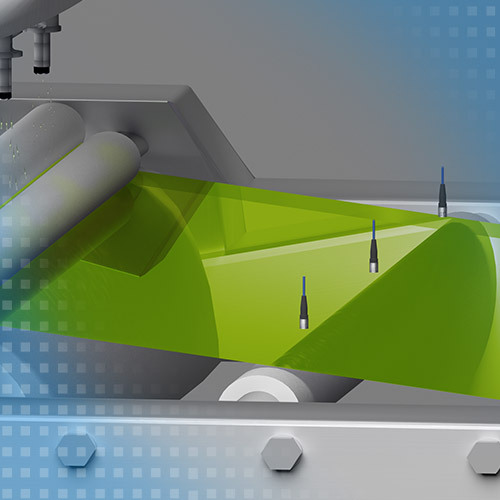 Recognising missing SMT components enables a smooth assembly process. Their flexible design allows for the optoCONTROL CLSK probe heads to be integrated in confined spaces. Plastic floorboards are made of coloured granules and shaped by deep-drawing. After the production process, it must be guaranteed that the colour of the floorboards is homogenous and that there are no colour differences. Rubber mats for the structure sealing must exhibit a specified thickness for durability and tear resistance. 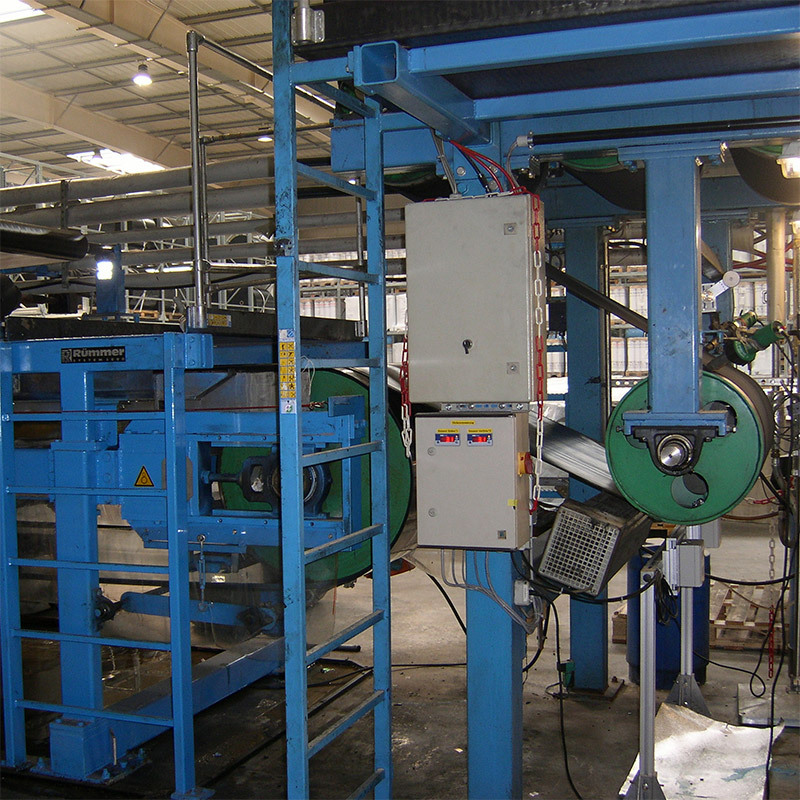 The thickness of the films is measured directly after the extrusion. The optoNCDT 1750 sensors used measure the distance to the rubber despite poor reflectivity. The thickness is determined from the sensor signal and the distance to a reference roller. The user thus recognises already starting deviations from the target thickness.